Drager Safety, ERTCO-Heart digital temperature measuring system report of calibration, NIST traceability. In addition to these foundational documents, the prosecution must also provide dashcam videos, MVR, police reports, and any documentation relating to field sobriety testing, and any exculpatory evidence. Your criminal defense lawyer must make a demand for these documents in addition to any other discovery which he or she believes exists in your case. It is simply not sufficient for a criminal defense lawyer to notify a municipal prosecutor of his/her obligation with a letter when this prosecutor fails to provide discovery prior to trial. The case of the State v. Holup, 253 N.J. Super, 320 (1992), specifically addresses this issue. In the Holup case, the defense lawyer was unable to have a case dismissed because of the prosecutor’s failure to provide timely discovery. The New Jersey Superior Court, Appellate Division, affirmed the trial court’s decision and didn’t dismiss the case because of a discovery violation. The Appellate Court specifically found that the defense attorney should of filed a motion with the Municipal Court seeking an order limiting the time for the production of discovery. This motion, which is now known as a “Holup Motion” would of specifically put the Municipal Prosecutor on notice that the failure to provide discovery would of led to a dismissal of the case. The court in Holup found that the defense attorney’s prior letters to the municipal prosecutor were insufficient proof that he had made attempts to put the prosecution on notice of their obligation to provide timely discovery. In New Jersey, Municipal Court prosecutors usually maintain private practice and there is sometimes confusion over whether the defense lawyer needs to send correspondence to the prosecutor’s private practice address, or to his/her Municipal Court office. The Holup Motion is a great way to avoid this confusion and put the prosecution on notice of their obligation. If your criminal defense lawyer wants to file a Holup Motion, it’s important the he or she do so in writing and comply with New Jersey Rule 1:6-2. This Rule requires a lawyer to make the motion in writing and specify the time and place when the defense attorney will present it to the court along with the grounds for the motion and the relief sought through it. It’s important to keep in mind that a New Jersey Municipal Court will not dismiss a case because of the prosecutions’ failure to produce discovery without a Holup Motion. Discovery issues, especially in DWI cases, can lead to multiple court appearances, lost time at work, additional legal fees, and transportation costs. All of this will increase the cost to defend your DWI. In addition to a Holup Motion, a criminal defense lawyer in New Jersey Municipal Court should also consider a Speedy Trial Motion, where the state, despite providing discovery, continues to request delays. The court will evaluate a Speedy Trial Motion based on the U.S. Supreme Court case of Barker v. Wingo, 407 U.S. 514 (1972). The court will consider the length of the delay, the reason for the delay, the defendants’ assertion of the right, and whether the delay has caused prejudice to the defendant. 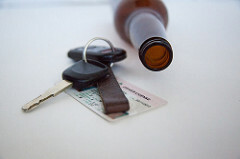 For more information on New Jersey DWI, please check out my previous blog posts.